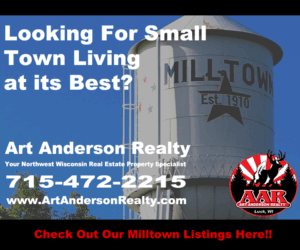 Thinking of looking at houses for sale in Milltown, Wisconsin? The Village of Milltown is a charming community of about 1,200 in the heart of Northeast Wisconsin. It is only 50 miles from Minneapolis and St. Paul, Minnesota. If you are interested in small-town or lake living, you’ve come to the right place! Milltown can offer you that charming community that you can feel safe in! Picturesque Milltown has much to offer the outdoor enthusiast and while it might be small, with its multitude of family-friendly festivals and events, there’s always something going on. And when you need a dose of big city life, Minneapolis and St. Paul are just an hour away. Here along the shores of Balsam Lake, Half Moon Lake and Antler Lake, you’ll find a thriving community surrounded by wide-open spaces, parks and farmland with beautiful scenery and sunsets. Local residents enjoy a truly unique lifestyle with plentiful opportunities for swimming, boating and fishing on some of these many lakes. Half Moon Lake one of the beautiful country lakes around and is a 550 acre lake located just outside of Milltown. It has a maximum depth of 60 feet and visitors have access to the lake from public boat landings. Some of the popular fish in this lake include Panfish, Largemouth Bass, Northern Pike and Walleye. One of the many hiking and biking trails in Milltown is the the Gandy Dancer Trail which is a 98-mile interstate trail crosses into Minnesota and then back again into Wisconsin. The southern segment of the Gandy Dancer trail begins in St. Croix Falls, near Interstate State Park. The southern segment travels for 47 miles in Wisconsin through the area communities and runs right through the heart of Milltown. Would you like to learn more about the homes available in the area? 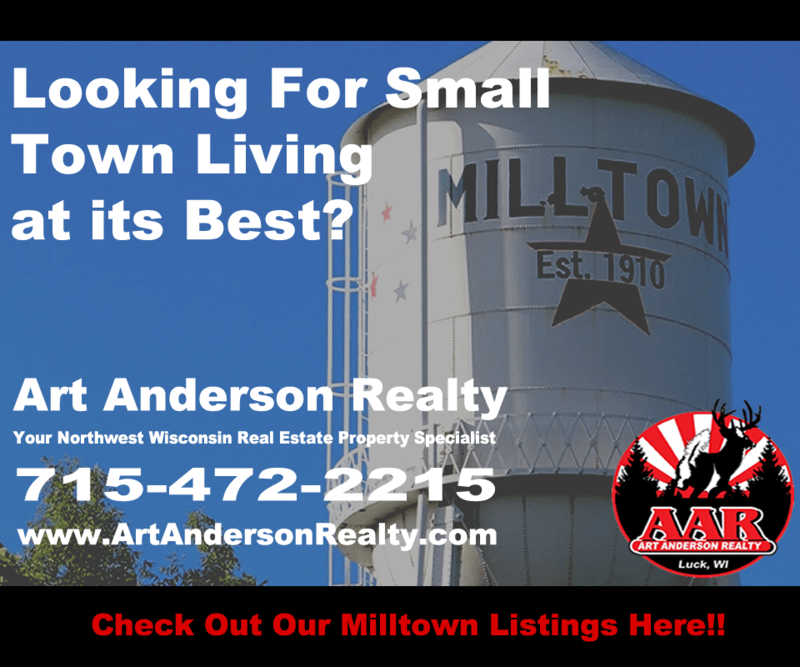 Check out our Milltown listings today. 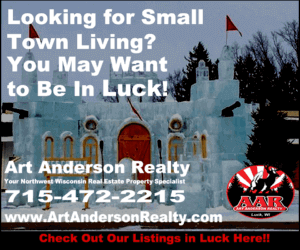 As you explore houses for sale in Milltown, Wisconsin, you should also consider the many reasons to choose Art Anderson Realty to help you with your home search. When you are buying a home, you want to make sure you are choosing the right real estate agency. You want someone who can help find the right neighborhood and home for your family’s specific needs. 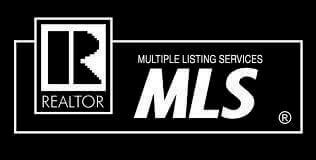 Art Anderson Realty is a team of local agents whose home search guidance goes beyond typical real estate knowledge. We know the Milltown area inside and out and are active members of the communities we serve. Our agents are passionate about helping people find the right houses for sale in Milltown, Wisconsin. Let us help you discover everything that Milltown has to offer! With a local perspective and personalized approach, we provide an exceptional client experience every step of the way. From helping you find the right property all the way through closing, Art Anderson Realty will help you make the right decision so you can focus on getting settled into your new home and enjoying lake living at its best.